Structural, mechanical, electrical and plumbing design for a new 27,000 sq. 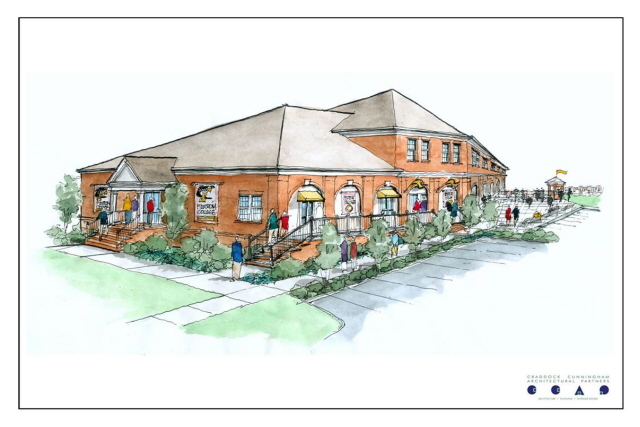 ft., two-story field house is currently in design to create spaces for expansion of academic as well as athletic programs. The new field house will be located adjacent to the existing football, soccer, and baseball fields. General areas will include locker/shower rooms for football, baseball, women’s softball, men and women’s soccer, coaches, and officials. Offices, conference rooms, team rooms, a Hall of Fame trophy room, rehabilitation and treatment areas, and atrium lobby complete the facility. A 4,000 sq. ft. weight room will be constructed for sports training and recreational use.